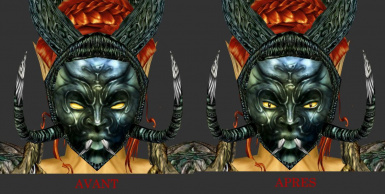 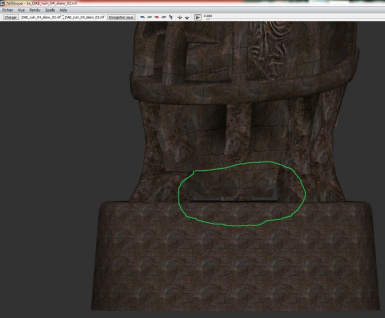 This page contains all my creations/modifications of textures/meshes for the play Morrowind. 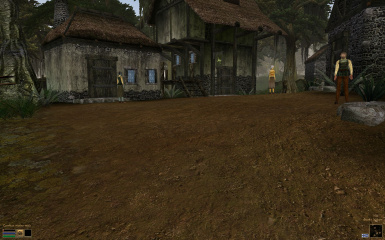 I love Morrowind, his atmosphere, the origin graphics of the game. 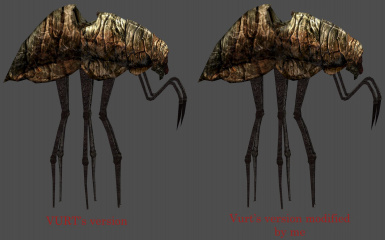 Personally I don't have any problems so that somebody re-uses my work for anything. 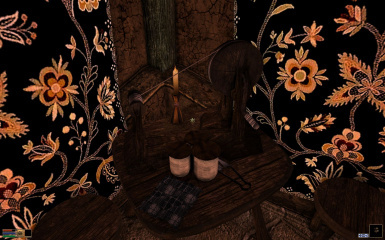 The only thing it's that my mod contains resources coming from other modders, therefore you must require the permission of them to be able to use some of their content, because as you know it's not all my own creation. 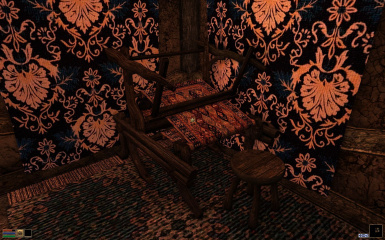 Lestat DeLioncourt, for some textures of his wonderful Reloaded's mods. 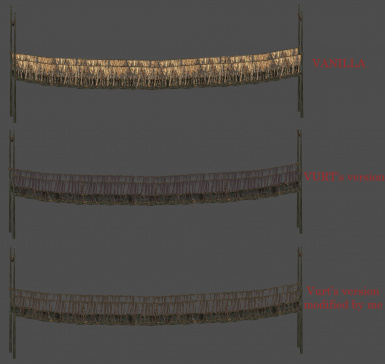 Kaucukovnik VI, for some textures of his mod "Vvardenfell Landscapes". 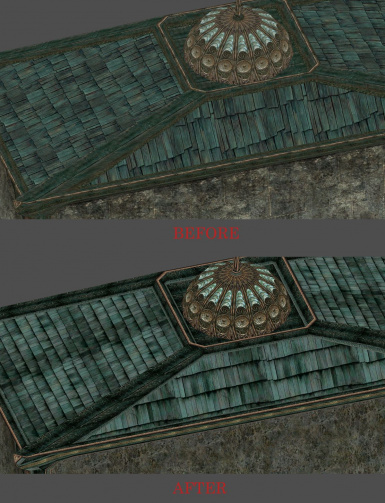 Ayse, Lord Gabryael, Qarl, Raptre, & Zuldazug, for some textures of their mod "Morrowind Visual Pack v3.0RC1". 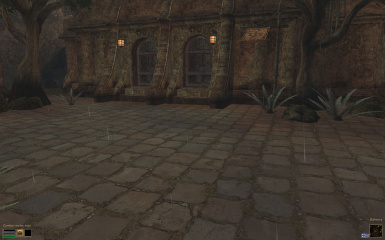 Masoxx, for three textures of his mod "Extremes Parasols". 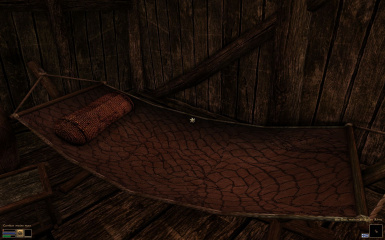 Plangkye, for four textures of his mod "Hi-Res Telvanni Textures". 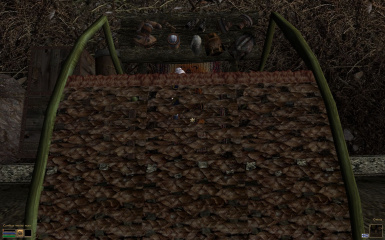 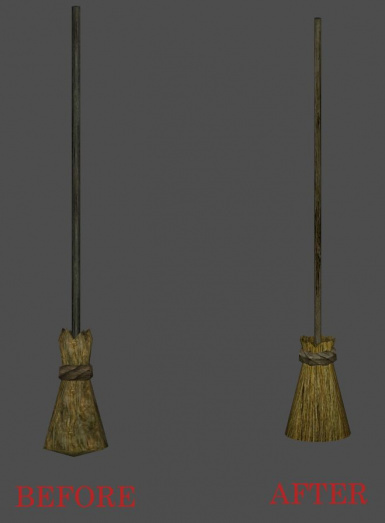 Kieve, for one texture of his mod "Telvanni Shrooms". 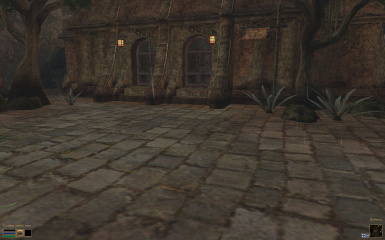 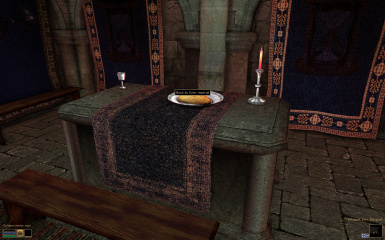 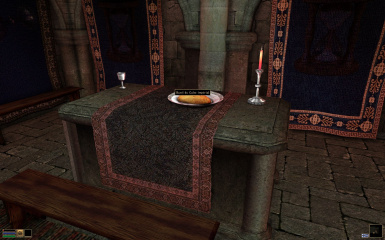 Nangsid, for his base texture for my retexture of the fabric on the imperial altars. 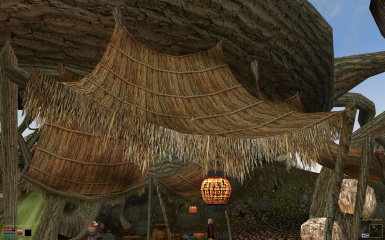 Alaisiagae, for his mesh from "Longboat mesh sail fix"
AOF, for his rope texture from his mod "AOF Containers"
Vurt, for his emperor parasol, bridge rope, silt strider's texture. 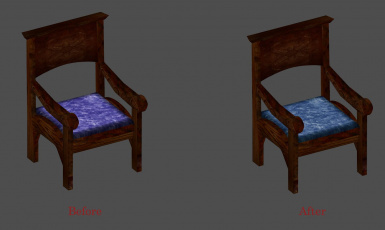 Plangkye, for her texture "mask_glow.dds" from his mod "Better Almalexia"
Tarius, for his mesh 'furn_com_chair_01.nif' and his texture modified by me 'Tx_fabric_com_chair.dds' from his mod "Better Meshes plus Optimization". 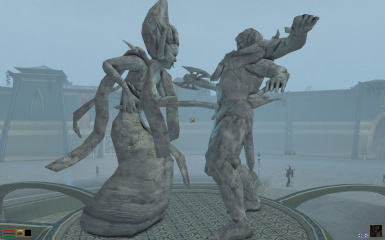 Bethesda, for creating a game that I love and want to contibute to. 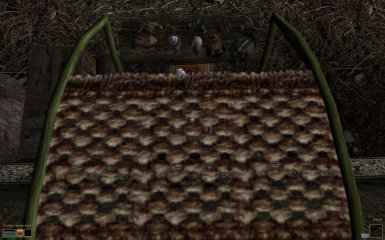 But especially after years, there are still some textures of the game which were never retextured thus I am occupied (some). 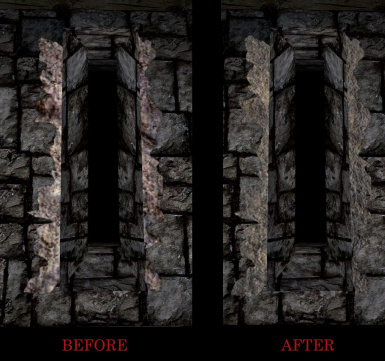 And I also retextured certain things by testing the remained faithful ones to vanilla's textures. 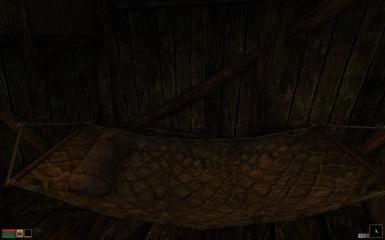 P.s: sorry for my poor english I'm a native french speaker. 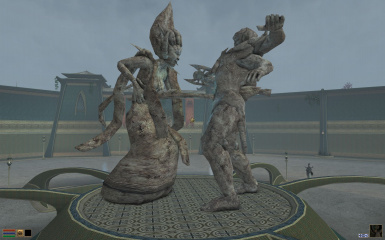 To install, simply open the folders which interest you and copy the folders (meshes, textures, ..) into the "Data Files" folder of your game Morrowind. 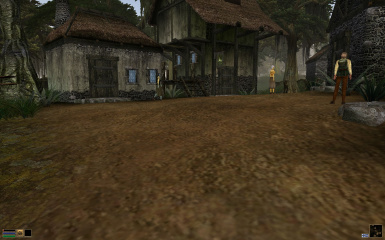 Plangkye, for four textures of her mod "Hi-Res Telvanni Textures". 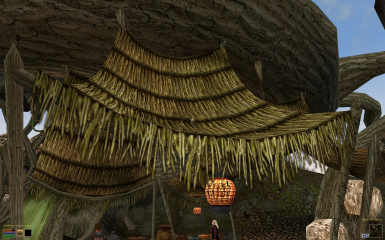 Alaisiagae, for her mesh from "Longboat mesh sail fix"
* Eart Wyrm => "Souly Soulgems(!)" 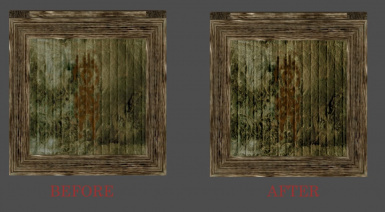 * Infectious Moon & NelothsMouth => "Soul Gem Replacer Retextured V.1.00"
* Jericho, Lokichan & Lord Alex => "Better Soul Gems V2.0"
Sir Bob, for his inital main menu texture. 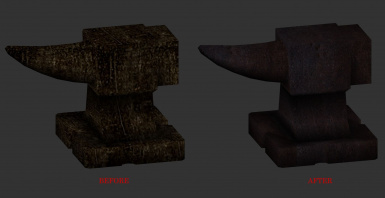 ZWolol, for his two meshes 'Ex_Dae_Ruin_02_Skew' and 'Ex_Dae_Ruin_Entry.Max' from his mod "Correct Meshes", that I have fixed.